Deep Knowledge Ventures hosts first Deep Learning Hackathon, participants refine Google’s artificial intelligence algorithm. 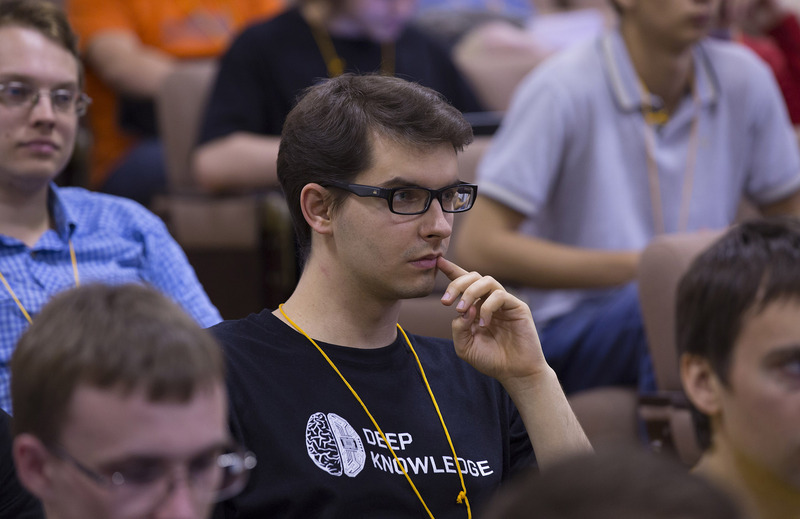 The DeepHack.Game hackathon, held from July 19-25 at the Moscow Institute of Physics and Technology (MIPT), became the first competitive event about deep learning and artificial intelligence in Europe. The hackathon gathered more than 150 participants, jury members, and guest lecturers — talented young programmers, professors of Europeans and American universities, and specialists and leaders of leading technological companies such as IBM, Microsoft, Nvidia, Datalytic Solutions, Yandex, CyberFuture, and Insilico Medicine. The founding organizer of the event was the Support Foundation for Advanced Biotechnology with the assistance of general partners, the fund Deep Knowledge Ventures and the interactive bank iBank. The hackathon’s participants’ main goal was to implement and improve an algorithm, developed by programmers of the company DeepMind, to complete any one of the retro Atari games on its own. In the beginning of 2015, the current algorithm was published in the prestigious journal Nature. It should also be noted that in 2014 the company DeepMind was purchased by Google for $650 million and is one of the world leaders in the development of deep learning algorithms. In addition to the continuous coding, the hackathon was filled with lectures by renowned experts in the field of machine learning. In attendance were leading scientists from universities in Russia, Germany, Canada, and the United States, as well as representatives of partner companies (Insilico Medicine, CyberFuture, Datalytic Solutions, IBM, Nvidia) and general sponsors (Deep Knowledge Ventures and iBank) which are actively developing deep learning. The General Managing Partner of the Hong Kong fund Deep Knowledge Ventures, Dmitry Kaminskiy, specially visited Moscow in order to give a lecture about the exponential development trends of new technologies and meet with outstanding young programmers. Deep Knowledge Ventures invests in exponential developing companies in the spheres of Big Data, Bioinformatics, Machine Learning, and Artificial Intelligence. One of the significant investment projects of Deep Knowledge Ventures is the analytic system VITAL, which uses complex machine learning algorithms to analyze biotechnology companies and forecast their development. “The rapid accumulation of new data in the biotechnology industry is a real challenge for classical analysts. The VITAL system allows you to automate routine work and focus on high-level analysis of startups and companies. The VITAL development team is constantly expanding, and young talent is a key component of our success” said Dmitry Kaminskiy. The DeepHack.Game hackathon final was held on Saturday, with commendable performance by the teams of SkyNet, Red Pandas, and 5Vision. These were the winners of the first deep learning hackathon in various categories. The absolute winner was the 5Vision team, which beat an opponent in the final Atari game Kung-Fu, beating Google DeepMind’s record. All of the members of the winning team received an invitation to the largest conference on deep learning, the Nvidia GTC, which will be held in San Francisco in the spring of 2016. The outcomes of GeneHack Bioinformatics and GeneHack.Game Deep Learning Hackathons are very impressive. These type of events cultivate local R&D clusters at an international level; Deep Knowledge Ventures fund is an active supporter and contributor of such initiatives. The unique format of Hackathon unites young and talented professionals. Event organizers with the support from Deep Knowledge Ventures are planning on making this a regular event; the next one will be held in fall 2015. DeepHack.Game is the first international deep learning and artificial intelligence hackathon, which was held from the 19th until the 25th of July at the Moscow Institute of Physics and Technology. 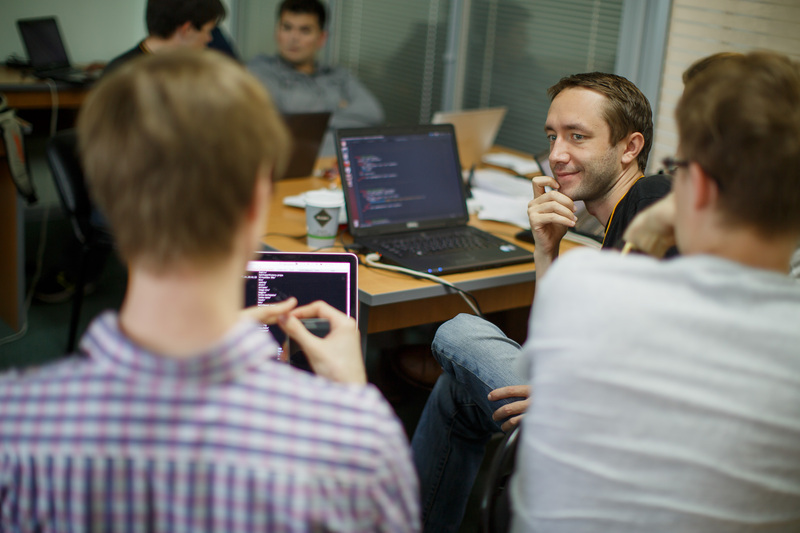 The hackathon successfully accomplished the goal of gathering the most talented undergraduates, graduate students, young scientists, and professionals in the IT sector throughout all of Russia to take on one of the most difficult tasks of artificial intelligence – the search for universal machine learning algorithms. Deep Knowledge Ventures is a Hong Kong venture fund focused on revolutionary exponential technologies. The fund’s interests include the creation of new industries, investing in exponential growing fields (such as personalized medicine, the struggle with aging, Big Data, Artificial Intelligence, and aerospace). The fund’s portfolio includes companies such as Insilico Medicine and Pathway Pharmaceuticals. DKV also acts as a business incubator and accelerator, creating an efficient, integrated ecosystem for all of its portfolio companies and projects, allowing them to obtain multilateral support and achieve significant synergy.